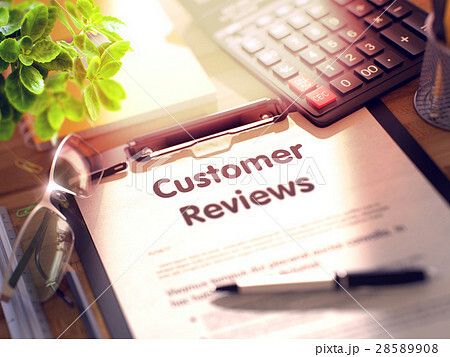 Clipboard with Customer Reviews Concept. 3D. イラスト素材: Clipboard with Customer Reviews Concept. 3D. Customer Reviews on Clipboard. Wooden Office Desk with a Lot of Business and Office Supplies on It. 3d Rendering. Toned and Blurred Illustration.